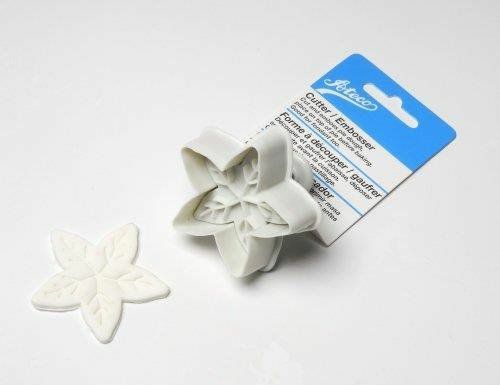 Ateco's Snowflake Plunger Cutter cuts and embosses gum paste at the same time. Ateco's Rolling Pin Modeling Tool has one rounded side and one pointed side. 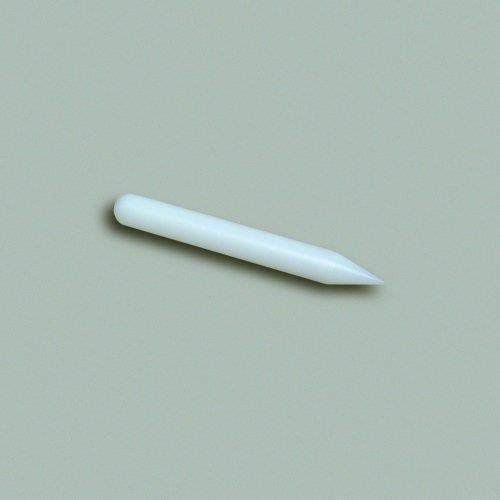 Small rolling pin ideal for gum paste work. Ends designed for modeling. 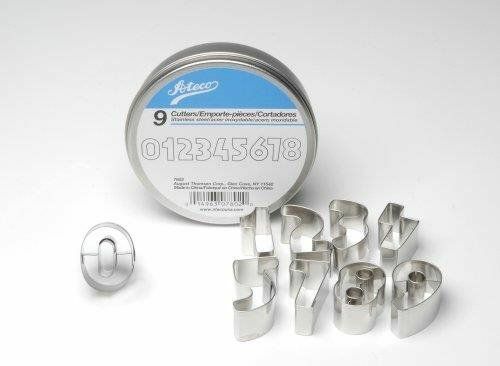 Ateco's Stainless Steel Larage 3" Number Cutter - 0, 1, 2, 3, 4, 5, 6, 7, 8. Turn 6 upside down for 9. The perfect size for putting ages on birthday cakes. 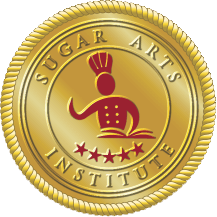 Use ARCOLOR Gum Paste for perfect cut-outs. 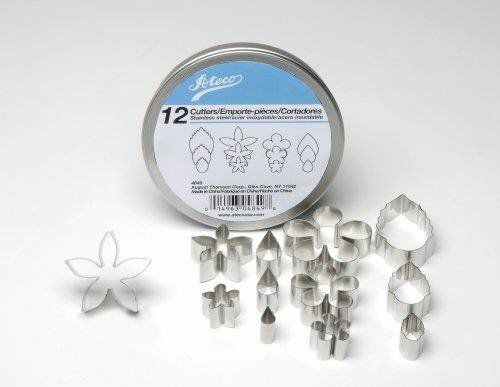 This essential set is the beginning of a variety of flowers a leaves for use with gum paste and fondant, pastry decorations, fruit and vegetable cut outs. These cutters are in a compact round box, ideal for your toolbox. 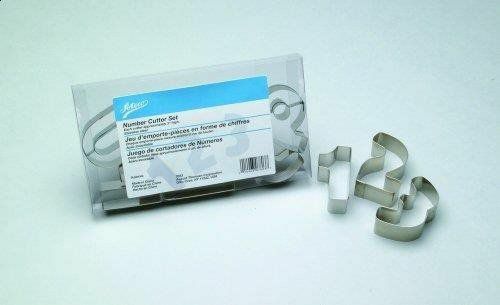 Use top quality ATECO cutters with sharp cutting edges for clean cut-outs without jagged edges. Each cutter measures approximately 1.5". 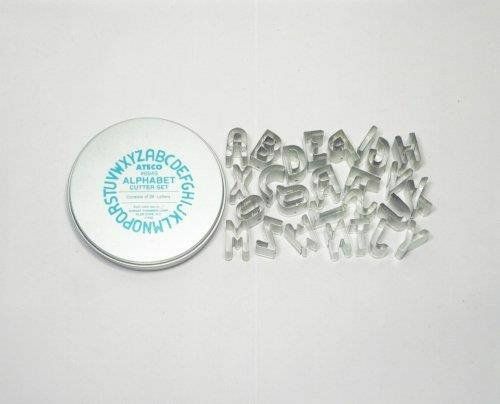 Ateco's Alphabet Cutter Set contains 26 x 1" stainless steel letters for cutting out messages to adorn your cake. Made of tin. 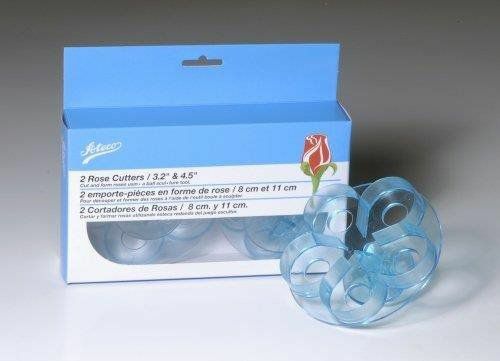 3.2" & 4.5" cutters make beautiful life-like roses. 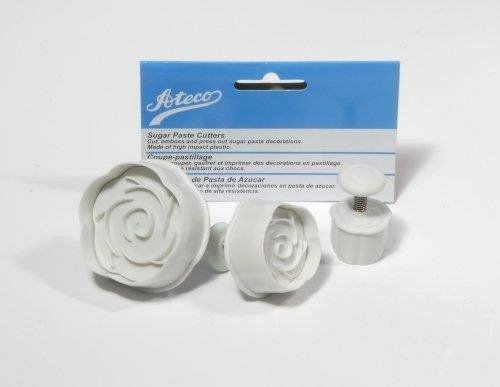 Use ARCOLOR Gum Paste for Flowers, for the best results. Easy push-out rose designs for quick cake decorations. Great for pastry too! Cutters range fron .5" to 2.75". 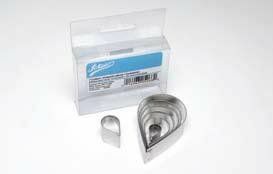 Ateco's stainless steel cutters are sharp, hard wearing and long lasting for clean edged cut-outs.